Pictured is James O’Reilly TD, Minister for Children and Youth Affairs, Cathal Pendred and Aodhan O’Riordain TD, Minister of State at the Department of Justice and Equality. Picture Jason Clarke. “We have to take domestic violence seriously. It is great to see three senior representatives of Government Departments at the launch of MAN UP today. We are optimistic that this is an indication that this Government is indeed serious about, not just hearing about domestic violence, but about responding to it with leadership and resources. 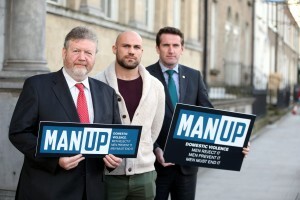 Mixed Martial Arts star Cathal Pendred approached SAFE Ireland a year ago to see if there was anything he could do to support the campaign. He says that men can use their common power to stand against domestic violence. Cathal is also being fully supported as MAN UP Champion by Fuze Sports Management and by the UFC who will be promoting MAN UP to its followers. “As men and boys I believe we have real power,” Cathal said. “Each of us has our own unique set of strengths. But I believe we have one common power. And that’s the power to stand up against domestic violence. I know it might surprise some people that a UFC Mixed Martial Arts Fighter is involved in a campaign against domestic violence,” he continued. “And yes, I’m a fighter. It’s my job. It’s my passion. But one of my golden rules is to always keep my aggression in the ring”. 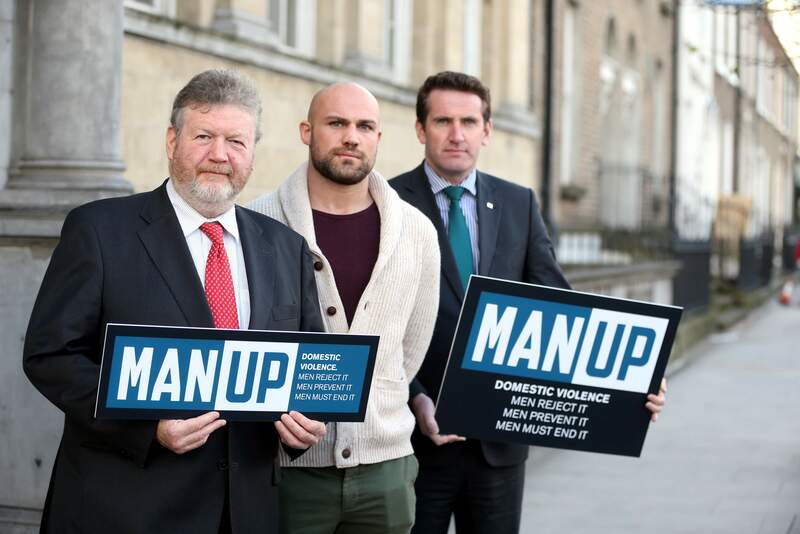 This is the fourth year of the MAN UP Campaign, which is proving to be one of Ireland’s most successful campaigns on raising awareness about domestic abuse. Over the years MAN UP supporters have included broadcaster Ryan Tubridy, rugby star Rob Kearney and An Taoiseach Enda Kenny TD. http://www.manup.ie/wp-content/uploads/Unknown-7.jpeg 2860 4288 ManUp http://www.manup.ie/wp-content/uploads/manup-logo-irl-340.png ManUp2015-11-19 14:27:322015-11-19 14:27:32UFC Fighter Cathal Pendred is fronting SAFE Ireland’s MAN UP Campaign this year with a call out to all men to use their common power to stand up against domestic violence.